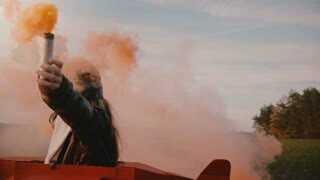 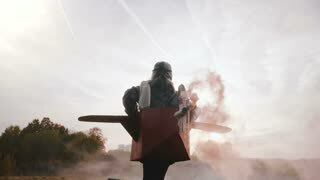 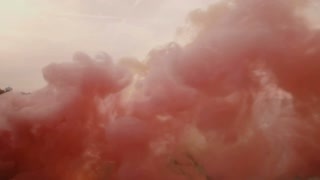 Camera follows little girl running in fun plane pilot costume with red color smoke on autumn sunset field slow motion. 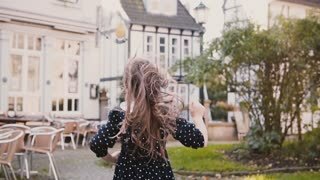 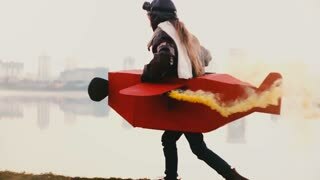 Low angle camera follows beautiful excited little girl running in fun plane pilot costume on autumn sunset slow motion. 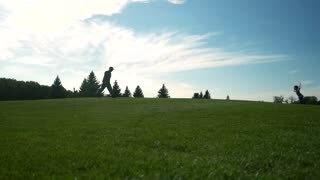 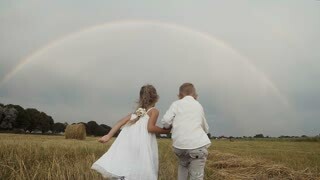 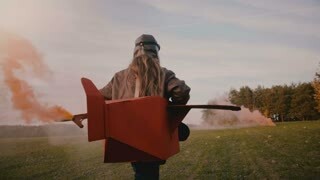 Camera follows little girl running in sunset field in fun cardboard plane pilot costume with color smoke slow motion. 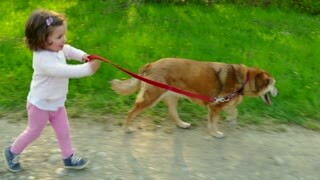 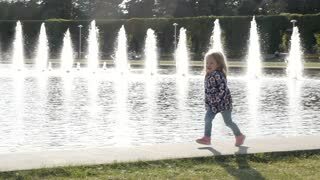 Cute little girl smile while running on the garden. 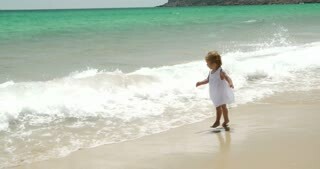 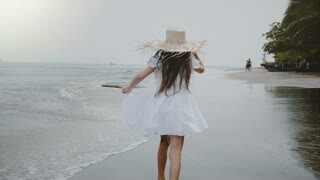 Camera follows happy beautiful little girl with long hair and straw hat running along atmospheric tropical sea beach. 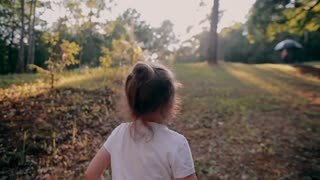 Cute little girl running in a meadow in the colors of a flowers. 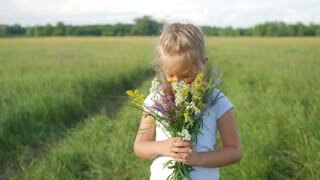 Carefree childhood - little child girl play on summer green meadow grass with flowers. 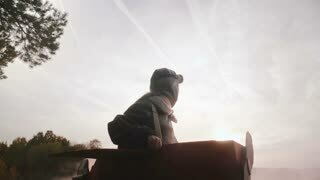 Young father at home with his newborn baby son in sling holding smart phone, making phone call, talking. 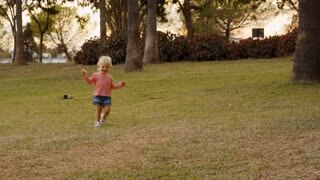 Little girl running around.